I remember assisting Val on wedding days and noticing that there was such a difference between the younger and older brides. At the time, I probably exaggerated the picture in my mind of the “mature” brides wearing old fashioned pants suits to the rehearsal dinner or wedding dresses that were more demure and covered their shoulders, and playing classical or jazz music instead of dance music. As I got into my late 20’s, I actually remember being bummed that I wouldn’t be a youthful bride. At 31, I feel so ridiculous for all of these thoughts! And you have ever felt any of those concerns I want to share with you why I absolutely loved being a 31 year old bride and wouldn’t change it for the world! 1. I learned from my friends weddings & marriages. When you are one of the last of your friends to get married, you have a tremendous wealth of knowledge and experience at your fingertips. If you avoided talking about weddings or listening to your friends as they planned, then you have really missed out! One of the biggest planning decisions we made, to have a smaller wedding, was made after many conversations with my friends. All but one of my friends said they wished they had done a smaller more intimate wedding. They mentioned all the time spent at the wedding talking to people they didn’t even know and of course the extra expense. Their feedback really helped us to weigh the options realistically and consider different things we hadn’t thought about. Even more than just the wedding planning tips have been the marriage advice I have heard over the years. Getting to walk through life with my friends as they went through the highs and lows of marriage, I was more prepared for the realities and the hard work that comes with married life. Had I only received this picture of marriage from movies I would have been completely blindsided going in. 2. We did most of the planning together. Josh was heavily involved in the wedding planning process. I didn’t realize that this was unusual until I started talking to some friends who had gotten married in their early twenties. They mentioned that they did most of the planning with their moms and that the husbands main job was to show up for the wedding! Lol! I think that is natural, as you may be living with your parents at a younger age, and if you hadn’t been around a ton of weddings or helped your friends plan theirs, then you really do need someone who knows what to do! 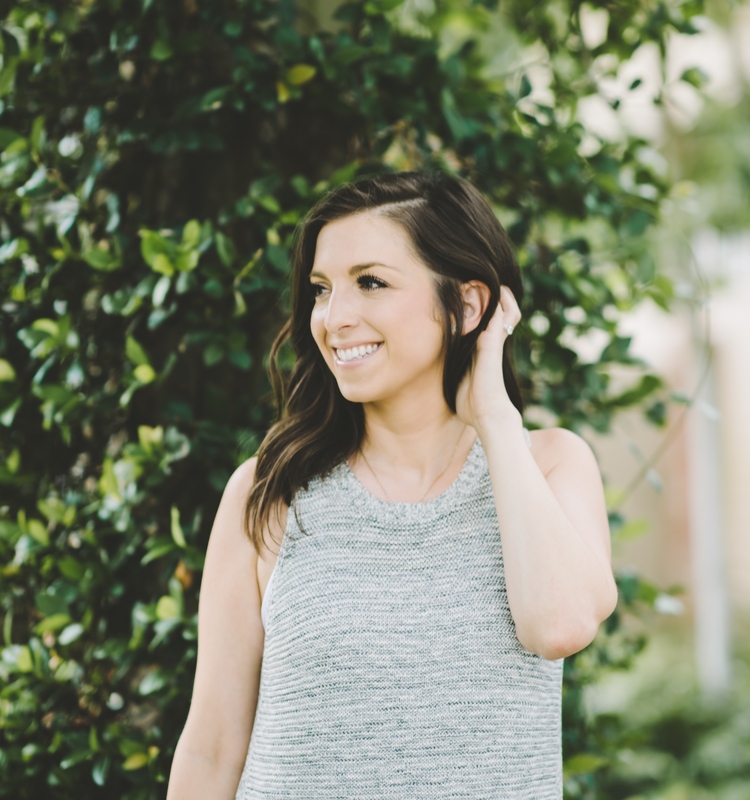 Because I had a ton of experience helping friends and my sister plan, I pretty much knew everything I needed to do (and if I missed anything, I had my Southern Weddings Planner). Josh was the first person I would go to for a lot of things, which made him feel more included and important. He didn’t have a ton of strong opinions, but the few things he did have an opinion on, I wanted him to have! It was also really good practice for “leaving & cleaving”. We put each others desires and opinions before the opinions of anyone else and we worked as a team on our first big project! 3. I had grown in spiritual maturity & understanding of God’s design for marriage. Name a book about marriage and I have read it. Even during my single years, I was soaking up sermons, books, and advice from friends on marriage. There was just something that intrigued me about the difference between the way the world views marriage and what God actually intended for it. The wisdom I have gained over the last decade has and continues to make a huge difference in my life and my marriage. During the planning process, Josh and placed just as much, if not more, emphasis on the marriage as the wedding. We did marriage counseling, read books, worked through the Field Guide for Marriage that I shared yesterday. The wedding did not consume our whole world. We saved time, money, and stress, because we didn’t let the wedding become a bigger thing than it should have. I hear stories that make me nervous for some brides as I see the way they view marriage with rose colored glasses, fields of flowers, and breakfasts in bed! It is so easy to get carried away with this mentality for marriage, but we have to fight it! And we fight it by soaking in truth, through scripture, devotionals (coming soon ;)), sermons, books, and by listening to the Holy Spirit. 4. Our wedding was unique & personal. Does it fit with our intentions and goals? Do we actually love it? Or are the trends telling us we love it? Is this what we want? Or are we doing it for tradition or expectation? The wedding I had planned in my head in my early twenties was much more trendy versus the more classic and simple wedding we ended up having. The songs I had picked would not have had much spiritual or emotional significance. And I would have probably focused more on the party than on the marriage. All of these questions, helped us to create a wedding that was uniquely ours. We added things based on our goals – we had communion during the ceremony. We didn’t simply do things out of tradition – we switched which side we stood on during the ceremony. We didn’t make selections just based on pinterest – the guys wore black tuxes with bow ties, because Josh is a huge James Bond fan. 5. Our honeymoon was amazing – better than I ever dreamed. Best.Week.Ever. We are officially Sandals junkies now and are planning a 1 year anniversary trip to St. Lucia. I never ever dreamed that my honeymoon would be so relaxing, fun, and honestly just fancy. It was so special to just be able to go away with Josh after the wedding and have NOTHING to do! We still talk about it all the time and get excited about planning future trips. This is admittedly a superficial benefit, but it was definitely a benefit none-the-less! Now for my disclaimer! I always have to post one, because I hate seeing people insist that there is only one “right” way or “best” way and I never want to come off like that! Aside from the main black and white issues that the Lord is explicit about, I feel like He has totally different plans for everyone. I just love being able to share the benefits for certain things that I feel like are not always spoken positively about. I am totally with you on getting married in your 20’s & 30’s. I got married last year at 38 & after hitting about 33, I got to the point that I never thought I was going to get married so I bought my own house, traveled, lived in different states so when I got married I felt I was so ready & prepared. My friends were such a huge asset in the planning and my wedding was small, intimate & only included the specific people that were extremely important to both my husband & I. I can still say I wouldn’t wanted any of it any different.